Tracey grew up on the mid north coast in Kempsey and spent her teenage years in Armidale. After finishing school she went to Armidale College of Advanced Education where she studied to be a teacher. 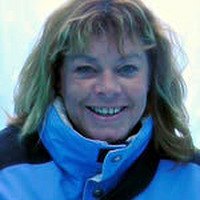 Tracey then launched into a career in the police force, where she picked up lots of hints for her mysteries and scary stories. After the birth of her third child she hung up her gun holster for a nappy bag and became a full-time mother, a job she loved best of all. Feeling the need to expand her life outside of the home Tracey started evening creative writing classes and found she enjoyed writing for adults, mostly murder mystery stories of course. She also found she enjoyed writing funny stories for her children. 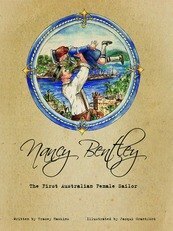 Tracey's books are centred on the things that happen to her family. Her children are featured in her stories under secret names, but they know who are they are. 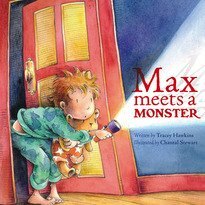 One of Tracey's greatest thrills was seeing Max meets a Monster for the first time in a bookshop. Tracey has always, well nearly always, been brave, except for when she was a little bit scared of the dark.